This section provides an overview of some key points to consider in developing analysis and reports from your collected data. Data can be very powerful. Just imagine having data on the number of jobs the formerly incarcerated held after being part of an in-jail employment program, and you were able to show that they had lower re-arrest rates over a 12-month period post-release than those who were not part of the job program. Politicians and funders like to support success stories that are backed by hard data. After you evaluate the available data and begin to collect data needed to evaluate your efforts, data mining is the process by which you measure a variety of TJC outcomes, ranging from producing simple descriptive statistics - like how many men and women are substance abusers and the proportion of jail inmates who are sentenced or pretrial detainees - to more complex analyses that may include comparing your data with other similar data at the state or national level. The goal, however, is to use the data you have collected to inform your agency and other stakeholders about where to put your transition resources and, eventually, how successful you have been transitioning people from jail to the community. 1. Plan Ahead: Centralize all of your data analysis efforts for easy retrieval, and designate a skilled person or a data team to handle all data requests. You will want to provide your data team with tools to pull data from the MIS in an easy-to-manipulate format that allows for the creation of basic tables like cross tabs. The table compares service providers' ability to keep participants engaged in treatment for 90 days after release from jail. 2. Avoid Data Overload: Too many tables and numbers make people shy away from the data. Instead focus on using more charts and graphs, and produce only reports that are meaningful and directed toward what the partners need. Howard County, Maryland’s Detention Center produces a monthly snapshot of its jail population. This assessable and easy-to-read information allows those interested to better understand how they can meet the unique needs of different jail subpopulations. Hennepin County, Minnesota's Crossover Population Report. Note that it is only five pages with easy-to-read tables and bullet points. Click here for Kent County Jail's monthly Performance Measures for the Main Jail, Community Reentry Center (CRC), and Honor Camp. These are items that Kent County reports each month to the Office of the Sheriff and quarterly to county administration as part of its performance-based budgeting process. For example, the Kent County Jail reports the rate of violence in the Main Jail, since that is important to them. They also report the percent of “productive residents” at the CRC and Honor Camp, with “productivity” defined as working or being in programs at least 20 hours a week. They track the numbers of people who are helped to find jobs. They also have a goal of meeting a certain number of active partnerships with community program providers, and they do meet that very easily each month. 4. Require Flexibility: Train your data team to handle data requests beyond what the MIS software reports produce. This means that they will need to learn how to write queries of the system. 5. Produce Regular Statistical Reports: Determine what data reports your agency needs most. Decision makers should have access to daily, weekly, or monthly reports. An annual statistical report is also recommended to assess population characteristic and program change over time. 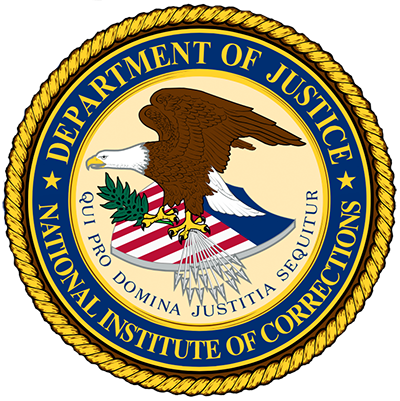 In Denver, routine data extracts from the Jail Management System and Reentry Database are reported, including client demographics, Proxy Triage Risk Screener scores, Level of Service Inventory (LSI) subscale and total scores (e.g., living situation, employment/education, and alcohol/drug problems) and the type and frequency of services utilized. Reports are also generated by the Life Skills Diversion Officers and the Community Reentry Project Case Managers. At the system-level, the data reports help Denver’s Sheriff Department strategize on the level of resources needed to implement jail transition. At the individual-level, the proxy and assessment results drive the development of appropriate treatment and discharge plans. 1 Randy Demory, “Measuring What Matters,” Large Jail Network Bulletin (Washington, DC: National Institute of Corrections, 2001). Uses your collected data to determine where to put your transition resources and to evaluate your success. Uncovers unexplored streams of thought. Develops strategies to hold stakeholders accountable. Depicts your transitional program in the best possible light. In this section you learned that data mining is a process of analyzing data to determine patterns and relationships. When done effectively, data mining can inform your agency and stakeholders where transition resources are needed and how successful your transition program has been.